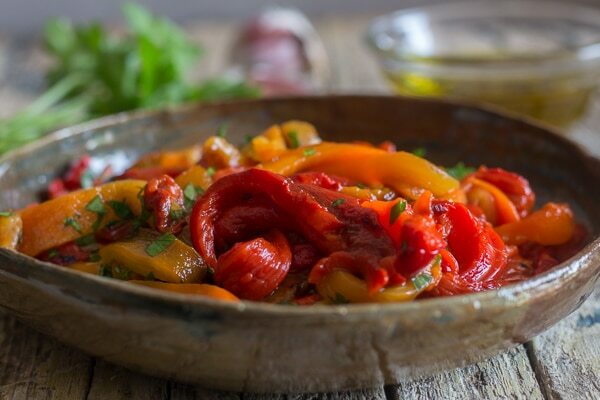 Italian Grilled Pepper Appetizer, the perfect Roasted Pepper Recipe, tossed with fresh parsley and olive oil, so easy and delicious, make this your next appetizer! 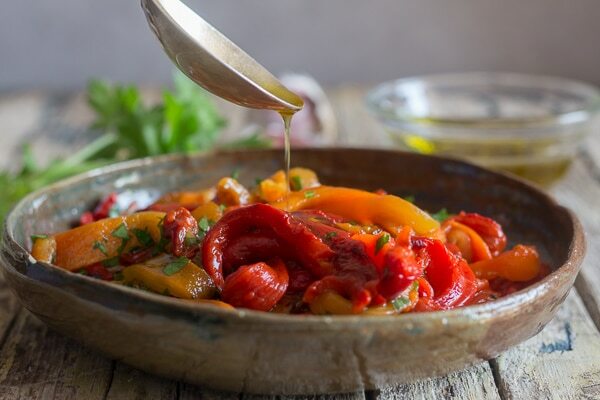 I think one of my favourite Italian dishes must be appetizers, probably because a lot of them are made with vegetables, and bread is always served on the side. Nothing like dipping your bread in the olive oil that remains on the bottom of the bowl. 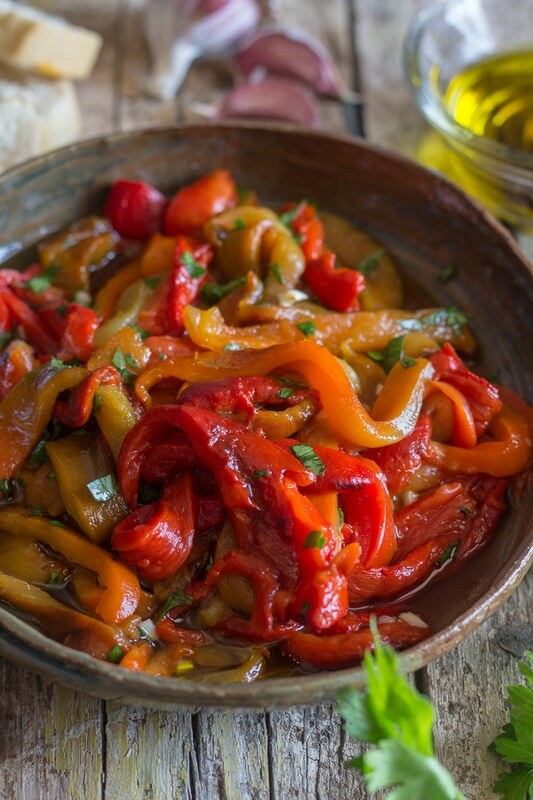 This Italian Grilled Pepper Appetizer is one of our favourites and it is Incredibly Delicious. “Are they crazy? 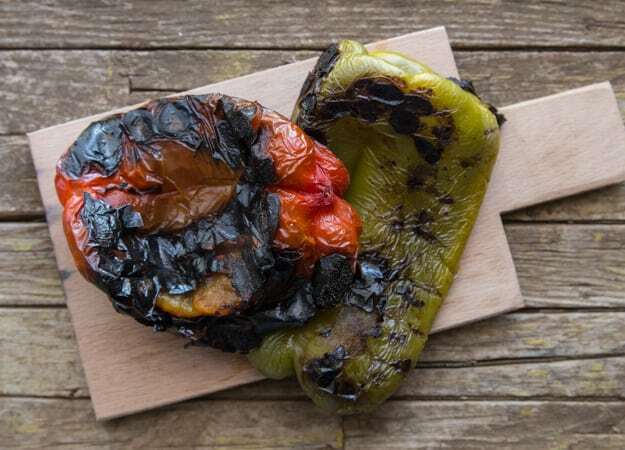 how can they eat burnt peppers?” now I have to say no they weren’t the crazy ones, we were, because we just didn’t get it. Italian appetizers are usually quite simple but so flavourful. It makes you wonder how all that taste can come from just a few ingredients. If you don’t have a Pan Grill, then definitely get one, no need to light the BBQ every time you crave some grilled veggies! Rinse off either red, green or yellow peppers (or a combination). Place them on the hot grill and grill until burnt. Throw them into a paper bag or bowl (cover with plastic wrap) and let sit for 15-20 minutes. Remove the skin and seeds, do not rinse. 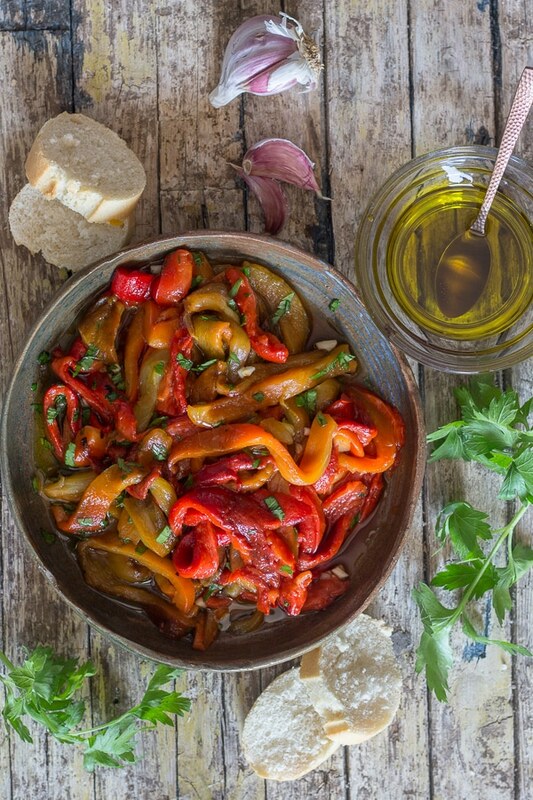 Cut the peppers into strips, place in a bowl and toss with fresh herbs and olive oil. So good! Make sure to roast the peppers until burnt. Let them sit for 15-20 minutes covered. Toss with fresh herbs and good quality olive oil. and let everything mingle for about an hour before serving, if you can wait! 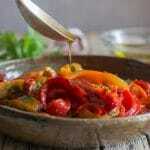 So if you are heating up the Grill or BBQ this weekend, do yourself a favour and throw on a couple of peppers! Buon Appetito! Heat your pan grill (or barbecue), keep the heat fairly high, place the peppers on top and continue to cook, turning until burnt all over. Remove from heat and place in a paper bag or bowl and cover with plastic, let sit for 15-20 minutes. Clean the peppers, slice in half, remove seeds and skin and rip into thin strips, (don't rinse peppers under water, hands yes, peppers no). 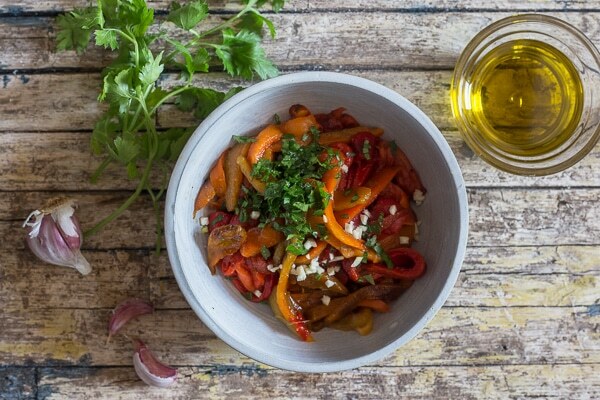 Place pepper strips in a medium bowl, add garlic, Italian parsley, olive oil and salt, toss gently until combined. Let sit 30-60 minutes for flavours to mingle. Serve with fresh Italian bread or bruschetta. Buon Appetito! Updated from May 22, 2017.